Hmm, I've not really noticed, but then the A.I may as well not exist for most of the race for me - they're just something in the way of my time trial that I turn every race in to. Or take this race (with sound ), possibly one of my favourite races, again, totally on the edge of strawberry floating up but the a.i is so good to race. Got gold on all Track Challenges except the final full Nurburgring full lap. Closest I get to the 6:57 is 7:15. Just can’t get close which is annoying considering I’ve got the gold time on all of the sections. KingK wrote: Got gold on all Track Challenges except the final full Nurburgring full lap. Closest I get to the 6:57 is 7:15. Just can’t get close which is annoying considering I’ve got the gold time on all of the sections. Its been a while, but I'm pretty sure there is a way to load in your own Ghost if you've saved it from a previous session. Goes well with the Benny Hill theme tune. 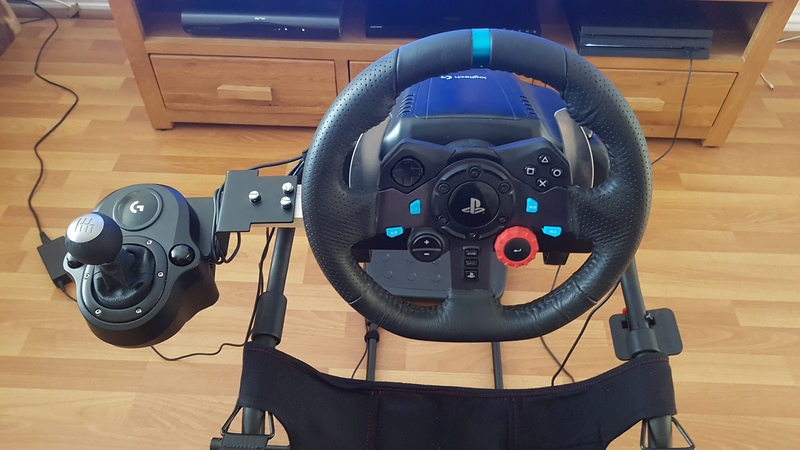 I also made a mount for my gear stick as the playseat challenge has nowhere to put one. 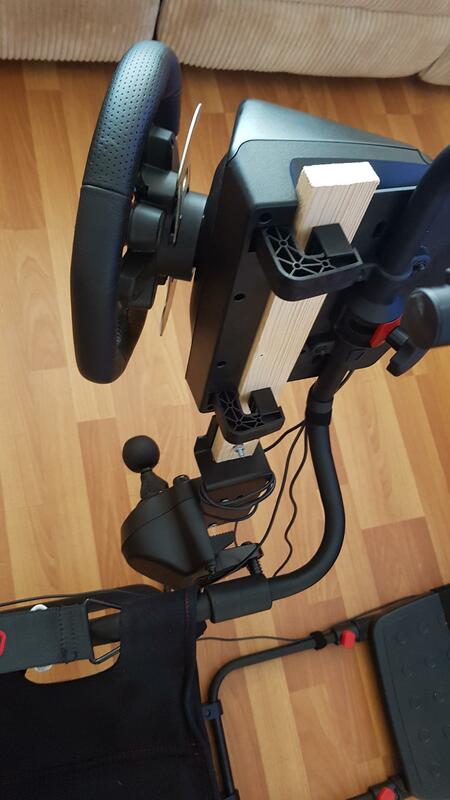 I took the mount from my old wheel stand PRO and attached it to some wood, then clamped that to the wheel. Works a treat and is in a comfortable spot for shifting. Now I know it works I'll spray it black with the leftover paint from my arcade machine. I was genuinely surprised to read that Catalunya hasn't been in any GT before this. Also a decent mix of cars, all added to the game without having to pay extra.